For this new Case study, we visit Bulgaria, with one of the country’s leading provider of telecommunication services and digital solutions: A1. 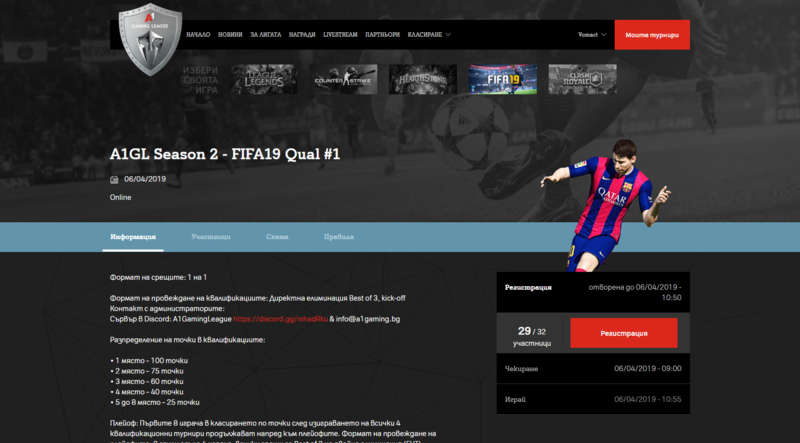 They approached us to build an esports platform to organize a year-long circuit of online tournaments and qualifiers, leading to offline finals during the Aniventure Comic Con, in September 2019. 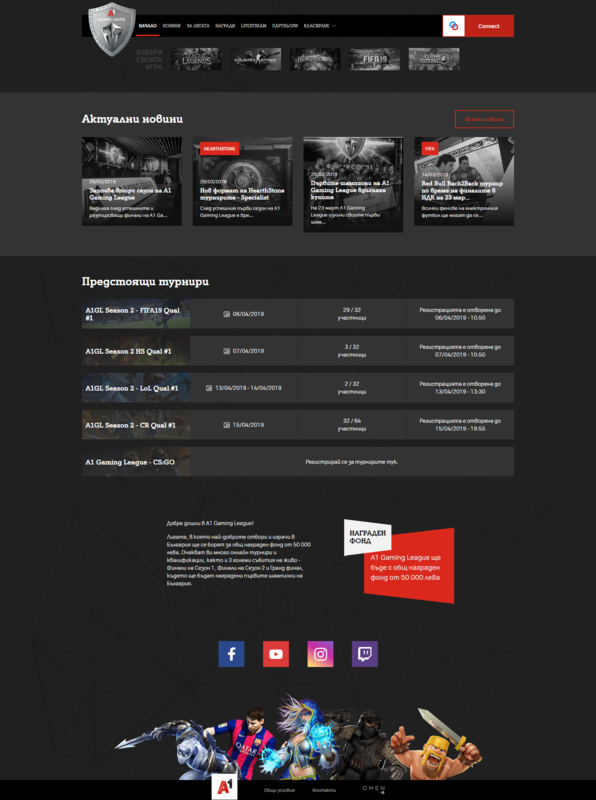 The website has an information section and a partners showcase, but also news, livestreams, tournaments and rankings linked to the games that are part of the circuit. Contact us if you wish to learn more about how we could work together on your own esports project! Next Next post: Want to play some FIFA and take on a pro player?